-How do translation partnerships work? How do the hosts of Speaking of Translation work together? 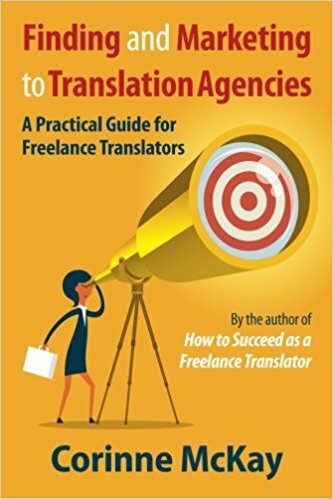 -Advice for an in-house translator who wants to go freelance? -Should you deliver translations to direct clients in Word or PDF format? -How can a freelancer create a professional development plan and set goals? (Reference: our podcast episode on Setting Goals for Your Freelance Business). -Tips for first-time ATA conference attendees? -Would it be a good idea for a technical translator to add subtitling and dubbing to her range of services? -What can we do about “dehumanization” in our profession? -How can translators respond to and prepare for the encroachment of machine translation into their market, while emphasizing the value of human translators? -What to do about a client who says they value your work, but is resistant to rate increases? (Reference: Carol Tice’s blog post on misplaced emotions in your freelance business). -How to decide if a translation specialization is viable? (Reference: Corinne’s blog post on this very topic). -Do translators need advanced education in the translation areas they want to specialize in? -Is ATA certification important for beginning translators? Thanks to everyone who submitted questions! And if you’re listening to this episode on our website, don’t forget that you can subscribe to Speaking of Translation in iTunes or Stitcher. Thank you for the great episode! It was very informative. Would you also be able to add timestamps for each question in the post? Thanks, Chris! I’ll have to look into how to do that, but thanks for the suggestion and glad you enjoyed the episode. “I enjoyed reading and learning from your content, as I am new to this field, I get confused in so many things. But your blog has guided me in a planned manner. The translation requires a professional and continuous learning.